51. כִּי חִלֵּל יְהוּדָה קֹדֶשׁ ה’ אֲשֶׁר אָהֵב וּבָעַל בַּת אֵל נֵכָר (מלאכי ב). כְּשֶׁהִסְתַּלֵּק זִיווֹ מִמֶּנּוּ עַל חֲטָאֵיהֶם, וְלֹא הָיָה לָהּ לַעֲמֹד לְפָנָיו, וְגֹרְשָׁה הַמַּלְכָּה מִן הַמֶּלֶךְ מִשּׁוּם שֶׁלֹּא יָכְלָה לְהַשְׁאִיר אֶת בָּנֶיהָ בֵּין הָעַמִּים לַהֲרֹג אוֹתָם, וְהוּא הָיָה בָּאָרֶץ הַקְּדוֹשָׁה, בָּזֶה שֶׁיִּהְיוּ עַמִּים נָכְרִים מִן עַמּוֹ. רוֹצֶה לוֹמַר, הִכְנִיס שְׁכִינָה בֵּינֵיהֶם בַּגָּלוּת וּבִזְמַן שֶׁלֹּא הָיְתָה בָּאָרֶץ, וְהִיא בְּאֶרֶץ הָעַמִּים בַּזִּיו שֶׁל יִשְׂרָאֵל נִשְׁמְרוּ הָעַמִּים שֶׁסְּבִיבוֹתֵיהֶם. 52. לָמַדְנוּ, אָמַר רַבִּי יוֹסֵי, שְׁנֵי גְדוֹלִים הָיוּ תַּחַת כִּסֵּא הַכָּבוֹד הַקָּדוֹשׁ, וַהֲרֵי שְׁמוֹ אֶחָד מֵהֶם הוּא מִטָּה, שֶׁהָיָה שׁוֹרֶה בָּאוֹצָר שֶׁל הַהֵיכָל. וַהֲרֵי אָנוּ בַּגָּלוּת, לֹא נִשְׁאָר בֵּינֵינוּ אֶלָּא זֶה שֶׁהוּא מַטְבֵּעַ שֶׁלּוֹ, וְהוּא חָתוּם מִשְּׁמוֹ שֶׁל הַקָּדוֹשׁ בָּרוּךְ הוּא. The bed is the aspect of Malchut, the head of the bed is the aspect of Yessod. When Joseph came to visit his father, Jacob got stronger. Previously he bowed to the head of the bed (Genesis 47:31) and now sat on it. The bowing was to connect to Yessod and the sitting was to connect Zeir Anpin to Malchut and create flow of light.. This Zohar also teaches us the aspect of visiting the sick. Rabbi Akiva said that one who doesn’t visit the sick, it is as if he spilled his blood. If he does visit the sick then he brings life with him. The reason is that each visit helps the sick because the visit removes 1/60 of his sufferings. Visiting the sick is considered as Tzedakah and act of kindness that is rewarded in this world and the world to come. The Shechina is next to the head of the sick and the sages say that it is better connection than a Minyan (a group of ten men) because with ten men the Shechina spreads and with the sick the Shechina stays next to the head of the sick. Praying for the sick by his bed is more effective. When coming to visit the sick one should stand or sit lower by the the side of the bed because of the Shechina by the head. It is not good to sit on the bed unless the sick asks for it. Also not by the legs unless the sick is a Tzadik because the legs is where the negativity and aspect of death exists. Find something to do to help the sick and make him comfortable in some way. Before visit learn to know best time to visit so it won’t interrupt rest, meal or treatment time. If you are far from the sick call and or send card letter or something that would make them happy. If you see a request for prayer for healing on social media, even if you don’t know the person directly, make a short prayer and meditation for them. With every such meditation you remove sickness from the world. 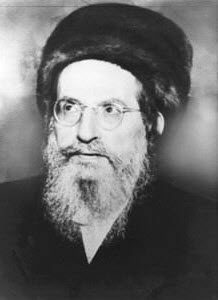 If you hear of a Tzadik who is sick, keep praying for them until you hear good news that they are no longer in life risk. The word sick is ‘חולה’ with numerical value of 49. A visitor add one and makes it 50 to connect to Binah and the source of life force to the world. The more you do for the sick the greater the reward and protection you have.